Stoner by John Williams got a lot of attention earlier this year. It is not a new book, it was written in the sixties and recently reissued by Vintage Classics. Daunt bookshop sent it to me as one of the monthly fiction subscription books just at the time when reviews started popping up. The reviews were unusual, I thought, book reviewers don’t really have time to review all the new books let alone reissues so I thought it must be good. Yet I didn’t think the story was really something I like reading about because it is about a man and his life in which nothing much happens. I’d picked Stoner up in early September or thereabouts, having just read a whole load of books where lots of things happened and I don’t think I was in the right frame of mind for it. I’d read about 50 pages then left it and got back into non-fiction, history reading for the course I’m doing. Not long ago, a friend asked if I’d read it and I felt a bit guilty for just leaving it and also for saying that it wasn’t really the sort of book I liked. So I picked it up again two days ago, I felt calmer than I have in a long while, finally feeling the stress levels from work and study over recent months beginning to subside. I thought maybe Stoner and I could get on now. And we did, as soon as I picked it up again, something clicked immediately. This is a deliberately deceptive book, it is almost as if the author wants to put you off the story at the start by saying how nothing really happens to Stoner, the main character and perhaps compared to some other people’s lives, Stoner’s life is inconsequential but at the same time, it is a remarkably rewarding read. Beautifully written, very clever and life affirming. At one point, I thought it reminded me of William Boyd’s Any Human Heart, the life affirming thing, but where Boyd’s book is vibrant and vivid, Stoner has a quiet intensity no less gripping. I think it’s a wonderful book to read over Christmas holidays, blanket, fireplace (if you have it, I read most of it on the bus) and all that. I was very wrong to assume Stoner would be a bit dull and this is what I liked about the book the most I think – sometimes it’s good to persist with something you think you don’t like at first because you may be surprised. I planned a ten mile walk yesterday, worked out the route and transport to and from and then it rained, rained, rained. 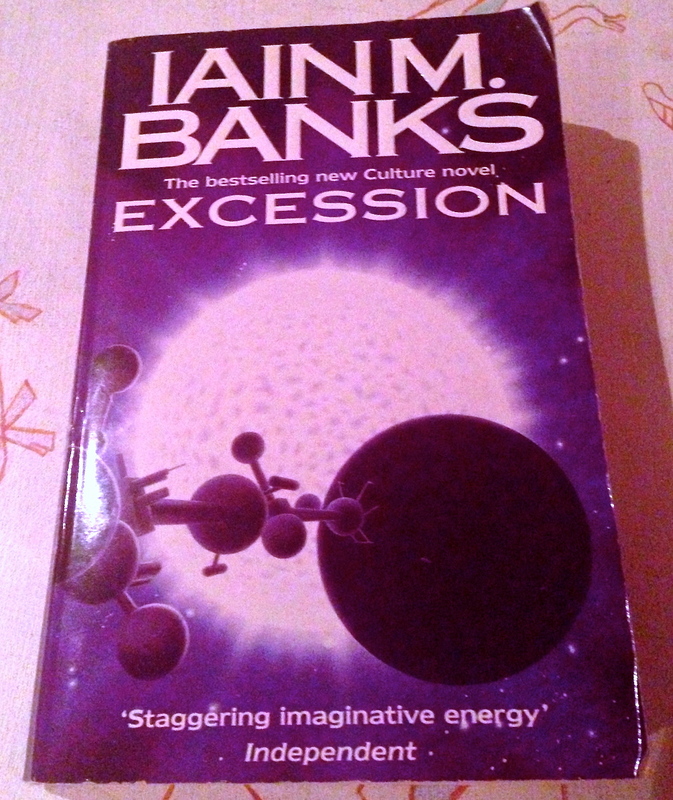 So instead, I spent the day on the sofa re-reading Excession by Iain M. Banks. Why Excession when there’s a new Culture novel out? Well, to be honest, I looked up the new novel on Amazon and the reviews and, some Banks fans posted that Excession was one of their favourites and I knew I’d read it before but could not remember what happened in it at all. So I read it again. Getting yourself lost in a Banks Culture novel is a very indulgent way of spending a Sunday, I love the worlds, the various creatures/ life forms and their ways of life but I think, above all, I love the imagination and the eccentric ship Minds. So, Excession was fun to read again. This book has been on the ‘get on with it’ pile for a while. ‘Get on with it’ pile of books is near my bed so I see it daily and every time I see it I think I am failing miserably at getting on with it. It has books that need to be read, books that have been with me for nearly a year (some) or over a year (most). Quite a few are in hardback and obviously, as I haven’t been getting on with it, they are now in paperback, much lighter and easier to carry around. Serves me right. ‘Getting on with it’ pile is not to be confused with the ‘oh, that book’ stack, which is actually on the bookshelf and comprises of books that I have bought or been given that I am not sure I even want to read. Most of those have been with me for years. And finally, there is a pile by the bed which I am currently ‘reading’ in bed and it is constantly growing, there are currently around 10 books in it but that’s OK. I will, eventually, get through some of them, I hope. 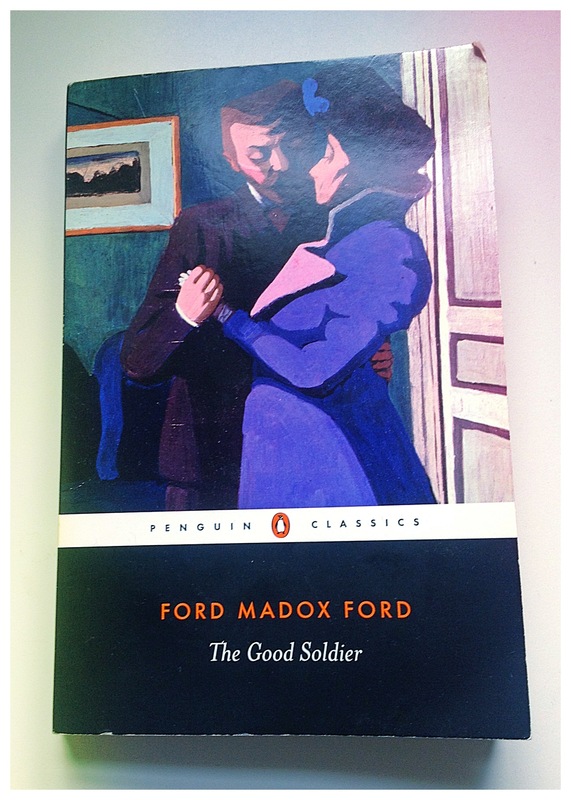 Anyway, The Good Soldier, obviously I’ve picked now to read it because of the fabulous recent BBC adaptation of Parade’s End and sudden interest in Ford Madox Ford although I’d like to think that I didn’t just get on the bandwagon since I’ve had the book for a year. A well read friend recommended it. The reason I didn’t think to read it before was the title – thought it took place in WWI and I’d come across the first sentence before, about it being the saddest story ever. So I was expecting something very depressing (depressing books live in the ‘oh, that book’ pile if there are any) about soldiers and The Good Soldier nearly went into ‘oh, that book pile’. But this is the most wonderful thing about the book, how it plays with assumptions. It does this throughout and it is so fabulously written, it’s intriguing, ambiguous and completely confounds your expectations. It is a short book but it is also a slow book and in that sense, it makes me think that this is the sort of thing Ian McEwan has been striving to write all his life. Only, I can’t seem to get on with McEwan sometimes, I see pretension and not as much beauty in writing as in Ford. As it happens I saw the friend who recommended The Good Soldier last week and told him I was reading it, he was about to go into it in detail and I had to stop him. I didn’t want to know, I wanted to discover for myself. I now really want to read Parade’s End as well. Once some of the current book piles have been cleared, of course. I’ve a mountain of books to read, some have been with me for years, some slightly less and because I’ve so many older books to get through, I tend not to buy new releases or rather I try to control urges to buy, buy, buy more new books. 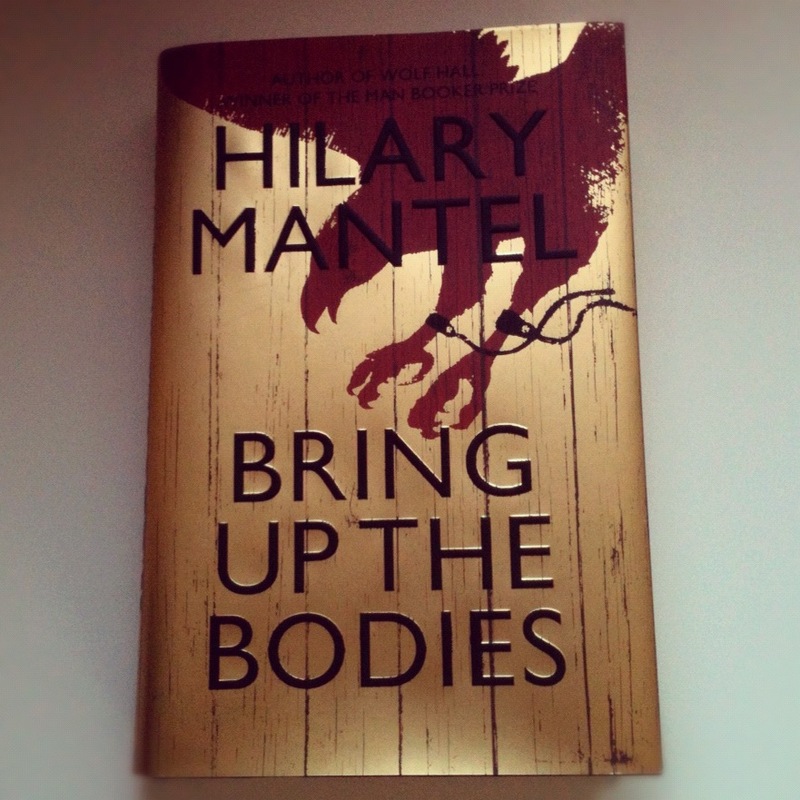 I loved Hilary Mantel’s Wolf Hall though and of course, could not resist getting the sequel, Bring up the bodies in hardback. It turned up, a few weeks back and I did despair slightly at the size of it and then, a week or so ago, I just read the cast of characters, nothing more – it felt like meeting up with an old friend I haven’t seen for ages. Despite some reviews, think it was Sunday Times, saying it was very long, it didn’t feel long or laboured. The atmospheric effect of standing above his, Cromwell’s shoulder and following him as he moves and intrigues his way around Henry VIII’s court was still there, drawing you in albeit surrounded by ghosts of Cardinal Wolsey, Thomas More and Cromwell’s family, all of whom died in the first book. This is a fabulous book, if anything, it felt too short and I could have read on and on. What I particularly liked about it, apart from the atmosphere Hilary Mantel creates, is that two books in, he, Cromwell, still remains such an elusive character – on one hand, the ideas that he campaigned for reforming the government and parliament are hinted at while, on the other, he is unswervingly loyal to Henry. You never know quite what is driving him. This book just really makes me want to read more about Cromwell and the other characters that populated his world. Thankfully, Hilary Mantel hasn’t quite come up to Anne of Cleves so am hoping there will be another book.